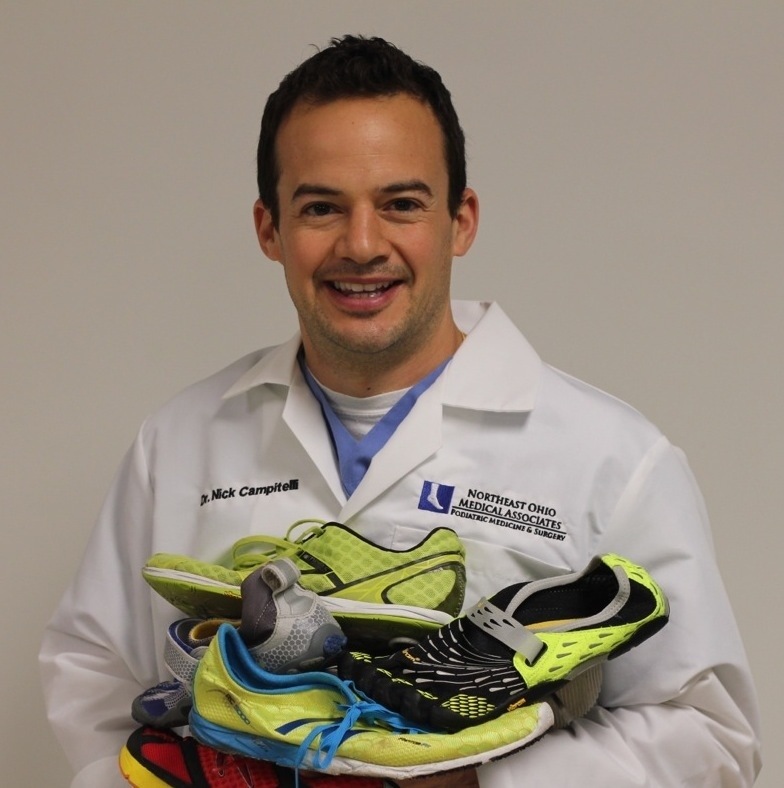 Running a marathon in minimalist shoes: What does Dr. Nick run 26.2 miles with? Okay. You have to remember, the last marathon I ran I was wearing The Asics Gel Kayano and had not even had a thought about minimalist shoes. This was in 2005 and it would take me roughly 3 more years of understanding how these shoes were not working and how I should be running. The majority of my miles over the past 3 years have been in FiveFingers. My treadmill runs are always barefoot (unless I’m doing a tempo run) and occasionally I’ll do a barefoot run outside. I had run my last half marathon very comfortably with a 7:43 pace in a pair of New Balance Minimus Zero Road shoes. For a distance of 26.2 miles, I wanted a bit of cushion that I could more or less use to “cheat”. Meaning as your muscles tire toward the end, that small amount of cushion helps with the pounding but still let’s your foot feel the ground and not interfere with your form. The RC5000 was perfect. It weighs 3.3 oz (lightest shoe I own) and has a 4mm heel drop. The 4mm heel drop is something I’m not used to as all of my training shoes are flat, or zero drop. It worked great. I could feel the height difference but it was pleasant to have at miles 20 and up when the eccentric contractions of the calf musculature are fighting to lower the heel to the ground. It softened the heel landing at that point of the run. I do think anything higher would have positioned my foot in a manner that would have compromised my form. The shoe itself has a small amount of cushion to the entire sole, but still allows you to feel the ground (see full review here). The tread is very minimal (basically just little soft rubber spikes) but surprisingly it didn’t wear down much! I didn’t train much in his shoe so that I could save its life for the marathon. I did several tempos in it to get used to the feel. Not sure I’d recommend it for everyday miles, but it was a perfect shoe for a marathon or half marathon in my opinion. I had no issues with my feet at the end of the race. My forefoot/metatarsal heads were not sore in the least bit and I had no arch soreness. In fact, at miles 20 and up when everything starts to tire, my feet were the farthest from my mind as they felt great! Even the day after the race I had absolutely zero soreness to my feet, arches or heels. Of course I have prepared my feet strength-wise over the past several years through the many miles I have logged in minimalist shoes so I can’t give all the credit to the shoes. Having said that, they were the perfect choice for me! 75% off Running Shoes at Amazon!! 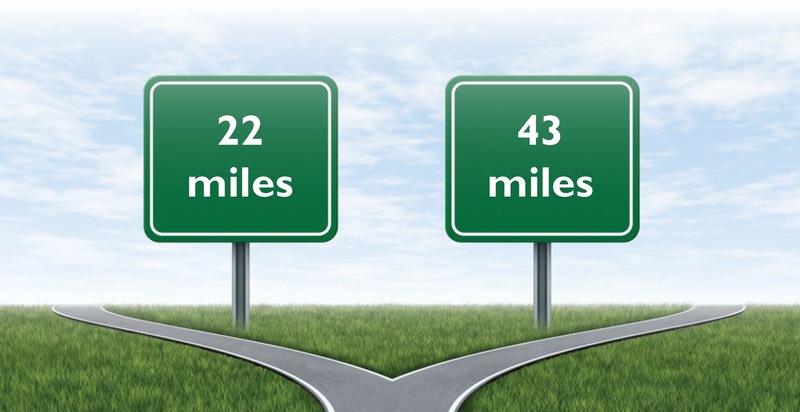 How Many Miles a Week Should I Run? 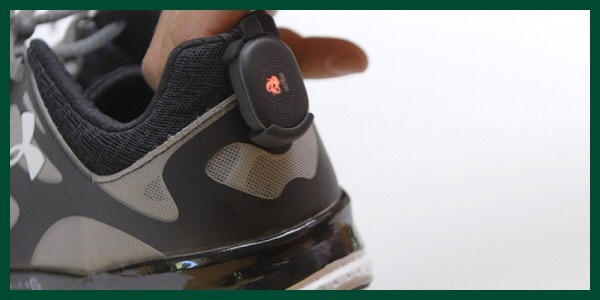 Gear to Help Runners Diagnose Form and Gait Could Change the industry? 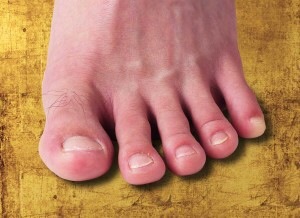 The purpose of our toes? Yes. They are narrow! I stretched the forefoot. I’m 68 and have been running for 55 years at all distances from the 800 through 50K. These are the best shoes I have ever run in and I’ve trained and raced in lots of different shoes over the years. They run about 1/2 size large so instead of running in my usual size 10, I use a 9.5 which fits like a glove. Frankly, I hadn’t thought about running a marathon in these. I was thinking that a 10K would be the upper limit because they are so minimal but of course people run marathons barefoot so I’m sure its possible. The shoe flexes naturally with the foot instead of fighting it, as so often happens in shoes today. I wear them every day for training and cant wait to race in them. Thanks for the comment!! What other shoes do you run in? Especially your longer races? Hi! I just bought these and I’m curious about the lifespan of the shoes. What would you say is probable considering their “fragile” build? Some have said 150-200 miles, which I think sounds a bit low. Im a light runner (145lb) and i guess this affects the milage that can be run in these..? Would be interesting to hear your thoughts since it seems like you use them alot! I am only doing half -marathons, in Vibram Bikila. However my right foot’s second Met starts to hurt around 6-7 mile mark. Pain strangely even goes away once i stop running. I tried many variations of socks and no socks but pain appears always around that mark. in your experience have you come across similar problem ? Not sure how long you transitioned. If its only been up to 6 months it could be too many miles to soon. You could also be landing too much on your forefoot, taking too long of a stride, or running too vertical without a gradual lean at the ankles. At some point you should be able to comfortable run 10 miles in them. Thanks for your reply. I think what you said made sense. With regular shoes I used to feel wobble/ pain in knees. Minimalist shoes/barefeet have removed that for me. But second met on right feet is my problem still. You are right its not much time and its too many miles too soon somewhere. I however am a mid feet striker and move to next step with front foot. Heel is just for stability or support in my strides. I too already started making sure strides are shorter. If you had to suggest a minimalist shoe with little more support than VFF to help me in transition which one will you suggest. I had gone through your reviews they left me bit more puzzled as all shoes have their own uniqueness. All i need is minimalist / wide toe box / road worthy / zero heat burn ( preferably to help in sock-less running) shoe. So couple of suggestion would help a lot. Hi, I’m a heavy runner preparing for the 2014 NYC marathon. I think Dr. Nick is right however I would like to add that it also depends on the model of your VFF. I tried pretty much every model from Bikila to KSO, Speed, etc. From all them the one that fits me perfect for long distance running are the Speed ones. And they have to feel little tight. However this past week I tried the Adidas Adipure Trainer 1.1 and I have to admit that they feel a lot more comfortable than the VFF! Next week I’ll be trying the Adidas Adipure Gazelle 2.0. I think that they are more suitable for a marathon. Sorry for not letting you know my purchase. Got my self Altra 3-Sum. I would say one of the most comfortable shoe. Feels natural, there is a bit of ground feel yet there is comfort. However sizing is tricky. Do check before picking up especially online. I typically do not use orthotics in my practice for RUNNERS. If they have been running in them for years and have no issues I will not advise to stop using them. If they are having issues I will gradually have them transition out of the orthotics. 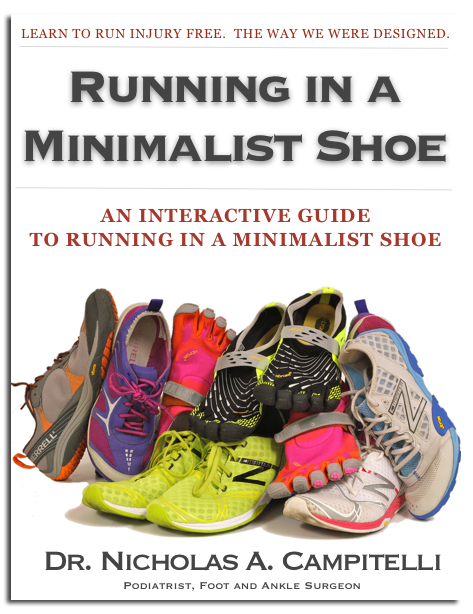 Of course I cannot advise what you should do in this situation but the overall philosophy of using a minimalist shoe or a light weight shoe contradicts an orthotic device. Spend some time reading about form and landing on your midfoot with you foot landing under your center if gravity and that will help. Also if you are running 20 miles a week and transitioning to a new shoe and new form do so slowly. You can read more on my blog. Thanks!! Im curious why you dont prescribe for runners,I do half and full ironman races and currently in my base training so just ramping up running very slowly while I maintain actual training distances/time on my swim and bike. 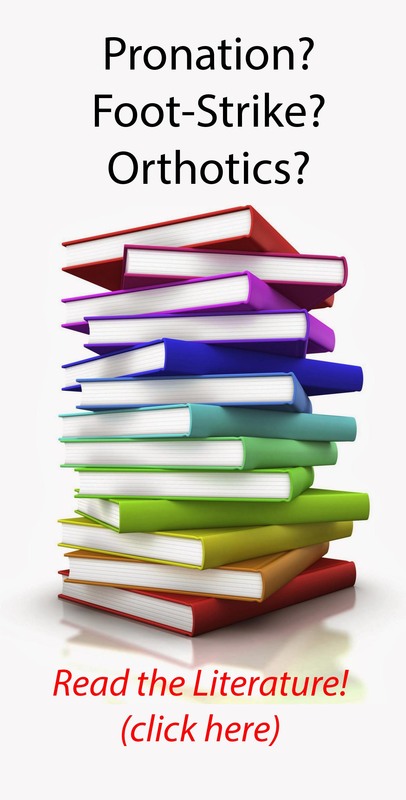 There is just not enough concrete medical literature to support the use of orthotics in general. 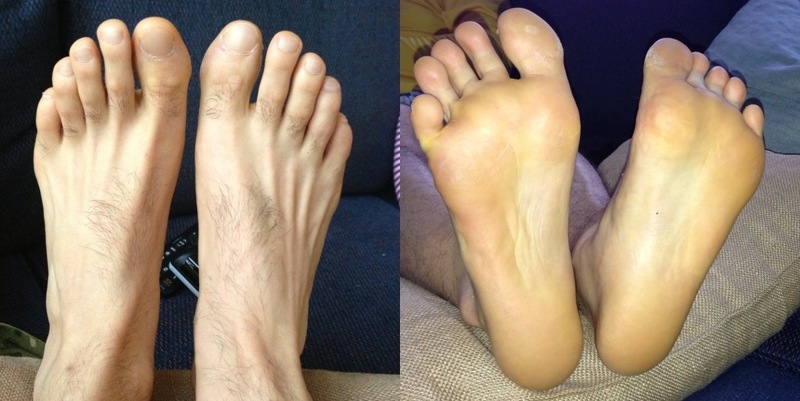 They were initially intended to control motion in severely deformed feet and then through the years become severely overused to the point where some people think everyone should be using them. They’re comparable to a splint for your shoulder. It may help short term but you shouldn’t rely on it. Do some need them forever? Yes. Those with sever deformity who are not even able to run.